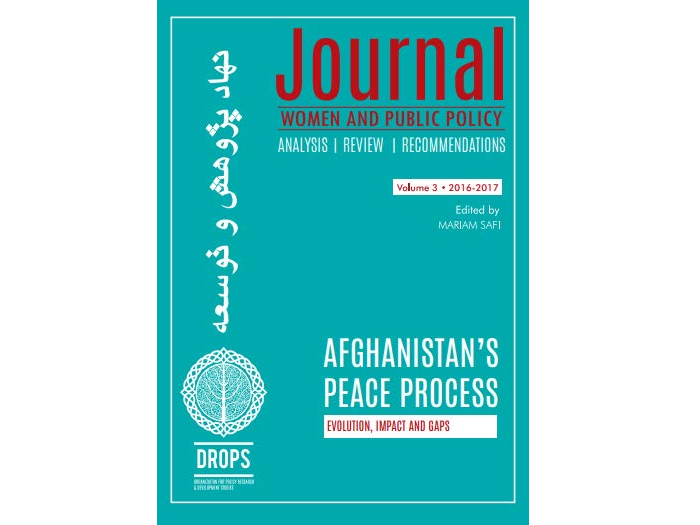 On 14 June 2018, IPCS hosted the launch of the 3rd Volume of the Women and Public Policy Journal (WPPJ), titled "Afghanistan’s Peace Process: Evolution, Impact and Gaps," published by the Organization for Policy Research and Development Studies (DROPS). The launch was followed by a discussion with Ms Mariam Safi, Executive Director, DROPS, and Editor-in-Chief, WPPJ. 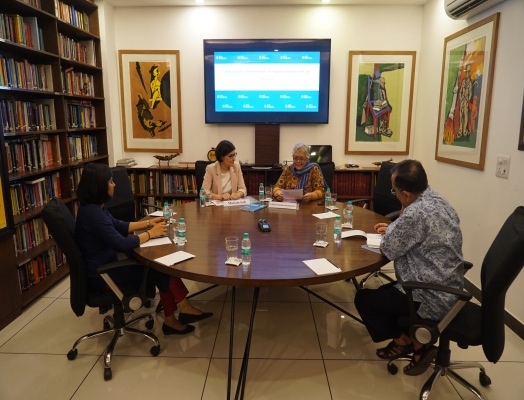 The launch and interaction was chaired by Ms Lalitha Kumaramangalam, Member, Governing Council, IPCS, and former Chairperson, National Commission for Women, India, and took place from 1415-1545 hrs in the IPCS Conference Room. Mariam Safi is the Co-Founder and Director, Organization for Policy Research and Development Studies (DROPS), Afghanistan. As one of the few female researchers in Afghanistan, she has led various in-depth research projects that have provided the first baseline data on some of these topics. She has also been a columnist at the Institute of Peace and Conflict Studies, India. Additionally, she is Member, Afghan Policy Group; Senior Research Fellow, Institute of National Security Studies, Sri Lanka; Resource Person, Lakshman Kadirgamar Institute for International Relations and Strategic Studies, Sri Lanka; and Peace-building Expert, Peace Direct, UK. Prior to co-founding DROPS Afghanistan, she served in various capacities, including as Deputy Director, Centre for Conflict and Peace Studies, Afghanistan. Launched in 2015, DROPS Afghanistan's 'Women and Public Policy Journal (WPPJ)' is the first peer-reviewed public policy journal to be authored by Afghan women in Afghanistan. The 2017 Edition of the WPPJ is titled ‘Afghanistan’s Peace Process: Evolution, Impact and Gaps’. The volume contains nine (9) research papers, three (3) case studies, and one (1) book review, authored by Afghan women. The essays examine nine contemporary peace and reconciliation related indicators such as: design of power-sharing agreements; holding talks; trust-building and legitimacy; role of transitional justice; balancing bottom-up approaches with top-down approaches; timing and sequencing of events; the spoilers issue; the role of the international community; and addressing the critical question of what peace means for citizens. To provide a yardstick for introspection and revision, two case studies involving peace processes of two different countries – Colombia and Northern Ireland – were studied and compared with the Afghan peace process. These comparative studies illustrate simple but significant factors that have a bearing on how and why peace processes succeed or fail. The case studies offer insightful observations on the similarities, differences, and patterns involved in the peace processes in Colombia and Northern Ireland, and identify what worked and what did not – important lessons that Afghanistan could draw from. Offering insights on ways to address these gaps, the essays and case studies in this volume draw on theory, practice, and lessons learnt from other contexts to provide a clear illustration of the evolution, impact, and gaps in the Afghan peace process, and offer recommendations for remedies and improvement.